Advance Ecommerce Store is a stylish, intuitive, engaging and robust WordPress theme for all types of shops be it an offline store striving to establish itself in the online world or an eCommerce shop extending its scope of products day-by-day. 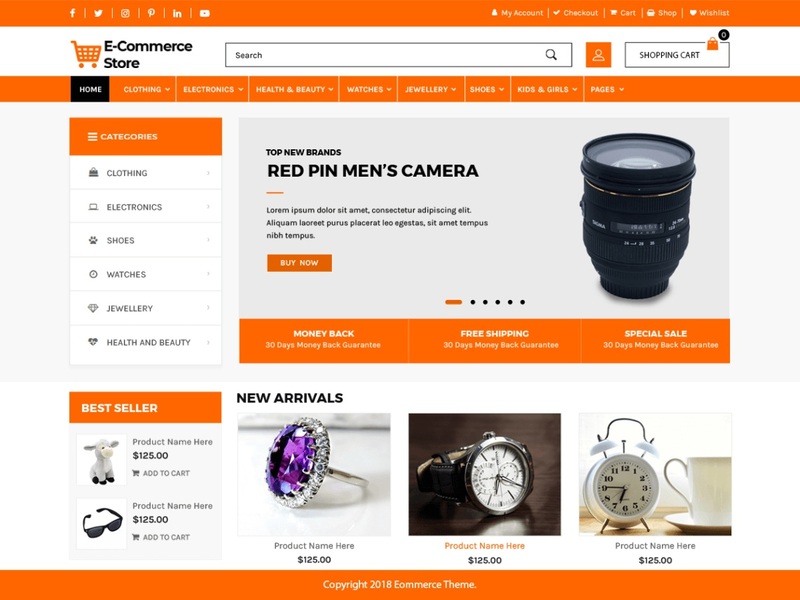 This theme is for a bookstore, mobile and gadgets store, fashion and apparel store, cosmetics shop, jewelry shop or any website dealing with the business of selling products over the internet. This multipurpose eCommerce theme can be used for sports, technology, fashion, furniture, pharmacy etc. It has various options which make the designing website an easy breezy task with no coding knowledge required. Sliders can be used to showcase your best deals, offers and best-selling products. The Advance Ecommerce Store theme is readily responsive, cross-browser compatible and translation ready. For an e-commerce shop, SEO is very important, which is well looked after in this theme to rank high in search engine results. Through social media icons, you can allow sharing products on various networking site. Its smart placement of a call to action button is important to lead your customers. The theme allows deep customization of a wide range of elements. Showcase your best products in the ornate gallery to attract visitor’s attention.